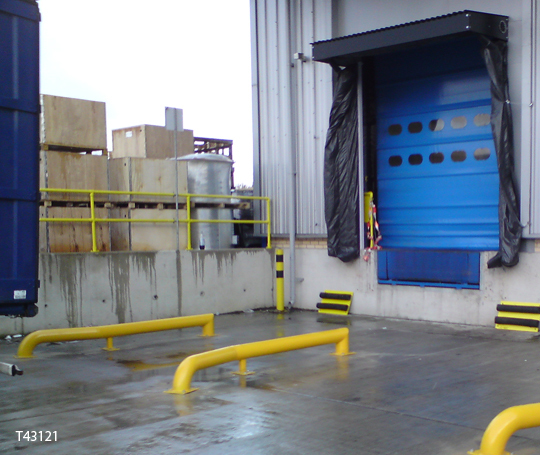 The installation of Three Thortight Inflatable Dock Seals, supplied by leading loading and unloading specialist Thorworld Industries, has provided ventilation systems manufacturer Fläkt Woods UK with a means of restricting unwanted loading bay draughts at its Colchester premises. When Fläkt Woods determined that its three loading bay doors did not provide a snug fit to docked trailers, the company was quick to act. Roger Smith, Site Maintenance Manager at Fläkt Woods UK, explains: "As experts in ventilation, we understand the implications of an unwanted draught, not only to the well-being of our employees but also to our operational cost-efficiency in terms of the requirement for extra heating to offset the chill factor." It was for these reasons that Fläkt Woods turned to Thorworld to devise an appropriate solution, and the company recommended the use of its Thortight Inflatable Dock Seals, which provide a virtually airtight sealed insulation around docked vehicles between internal and external environments. Extremely effective and easy to install, operate and maintain, Thortight Inflatable Dock Seals are fitted around the sides and top of each loading bay. The vehicle simply reverses up to the dock as normal and, once in position, the Thortight seals are then inflated - which takes around 30 seconds - to create a tight seal before the doors are then opened and loading/unloading can proceed. Curved sides guarantee that an effective seal is maintained even in high winds. By maintaining a consistent internal temperature, Fläkt Woods stands to benefit from reduced heating bills as it can avoid the additional energy required by climate control systems to stabilise the temperature. 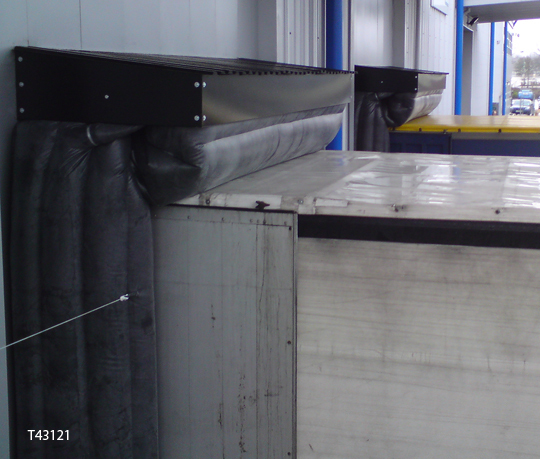 It also helps to prevent ingress of dirt, dust or insects to minimise the potential for contamination of the company’s predominantly galvanised parts. The installation is complemented by the provision of Thorworld Alignment Curbs, ensuring that trailers can be quickly and correctly positioned at the loading bay to minimise the time the dock door remains open before the seal is inflated. Roger Smith confirms the effectiveness of Thorworld's solution: "The Thortight Inflatable Dock Seals looked to be a robust answer to our problem, especially in terms of the speed with which the seals can be inflated. With things up and running within a minute, we can maintain uptime for a swift and efficient turnaround. "Since installation, the system has delivered everything we expected in terms of convenience and comfort, ensuring that the only airflow we need worry about is that of our customers."